GEA Food Solutions offers proven and comprehensive packaging concepts for attractive product presentation when GEA Traysealer models are used. Innovative solutions for the efficient packaging of foodstuffs of almost every kind, that’s the challenge we are committed to tackling. Whether it’s MAP or SKIN packaging, the GEA TwinStar®9 traysealer offers efficient and customised packaging solutions for wide range of products, e.g. fresh meat, ready meals, salads, confectionery or sliced products. A highly flexible configuration makes it possible to produce greatly varied and visually attractive forms of packs on this machine. When it comes to MAPpackagings the performance range of the GEA TwinStar®9 with its maximum format length of 970 mm is up to 120 packs per minute. The very fast dieset changeover, possible within 10 minutes using the easy-to-handle dieset change trolley and automatic dieset lock, plus the short heating-up times thanks to precise temperature control make it possible to switch the dieset quickly and effortlessly and ensure the longest possible operating times. The subject of energy efficiency is writ large with this machine. State-of-the-art servodrivesand minimum compressed air consumption satisfy the requirements in every respect and have a positive effect on the performance potential. The robustmachine design and highly developed control and drive technology mean high and dependable availability. 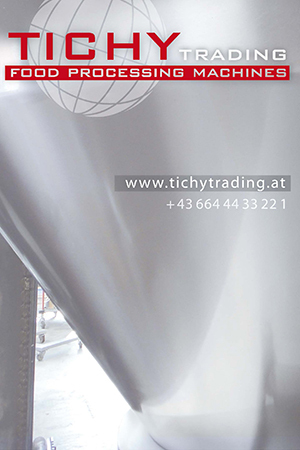 With the flexibly adjustable servo film handling, the film tension and transport speed are individually adapted, and so the traysealer can be adjusted without difficulty to different film qualities and cycles. The patented system for foreign object detection FOD prevents unscheduled machine downtimes, i.e. it is possible to effectively avoid damage to the die set and almost preclude any cost-intensive interruptions to the production process. 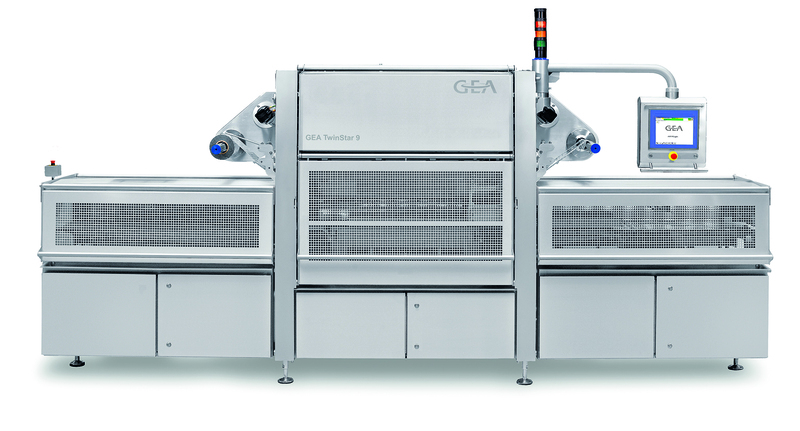 The economic and technical advantages of the GEA TwinStar®9 can be summed up in a few words: constant and value-adding performance potential with MAP and SKINpackagings, the highest packaging quality and flexibility, fast and reliable dieset changeover, stable machine operating times thanks to foreign object detection plus high investment security.